Getting high all day, drinking whiskey all night..."
You don't know me, I'm a freak..."
Hey bartender hit me with a double..."
These type of things happens all the time..."
"Nobodys waiting for you nobodys home nobodys listening to you cause nobody cares and they will never change there all slowly dieing they will never go away they have nothing to lose. They are afraid of you cause you know there secret I hear them praying for you that you disappear they are the enemy we are the fallen now they have us on our knees we have nothing to lose. All my people come on choose your side youre a long way from home but not alone..."
putting distance between I the ground..."
I know that you're no good for me..."
if you want to see other song lyrics from "Blackout" album, click "HED P.E. Singer" and search album songs from the artist page. If you know some new information about Blackout, or other song from our site, that isn’t already on song page, please let us know, Any refinement, news, or comment is appreciated. If information about Blackout, or any song from moodpoint directory is wrong, please contact us and write where the incorrect data should be replaced by correct data. Use "Find Lyrics" box on our site, try to use different artist or (and) song title(ex: Blackout) word forms. SERPENT BOY - HED P.E. TIRED OF SLEEP (T.O.S.) - HED P.E. 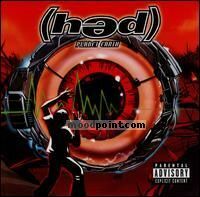 Feel Good - HED P.E.